Plant Diseases And Pests - A Lack Of Pesticides? Plant Diseases And Pests – A Lack Of Pesticides? When I first started teaching organic gardening, I was told not to draw parallels between plant diseases and pests in the garden and human diseases, for fear of offending people. It was one thing to teach people that plant diseases attack only unhealthy plants, but to hear most human diseases attack unhealthy people can be just too much to take. This is especially true since most of us have someone close who has had one of the major diseases, and it could come across that I was faulting them for getting the disease. But since that time, I and especially my wife have studied many facets of health and nutrition, and now in our minds it just goes without saying that most human disease – cancer, heart disease, etc. – is the result of lack of human health. It’s become so evident we don’t even think about it anymore. Of course, that’s not to say it’s necessarily a person’s fault if they are afflicted by one of these diseases. There are some factors that are largely beyond our control, such as pollution and genetics. Or maybe we’ve just been taught that our education system, government, free market and doctors would take care of our health without ever learning that they won’t. Or maybe our body has some kind of imbalance that there is no way of measuring or figuring out. So part of this is all a mystery and beyond our control, and I’m not saying you have to be noticeably unhealthy to contract an illness. I have close friends and family who were perfectly healthy by conventional standards before becoming ill. It’s very important to me to be clear that I’m not picking on them. What I am trying to get at is that there are factors many of us can control. I do a lot of things to ensure I’ll be as healthy as possible for as long as possible. I eat fresh/organic/healthy foods, filter my drinking water, exercise every day, cultivate loving relationships, avoid stress as much as I can, and so on. I know there is still a chance I’ll face one of these diseases when I get older, and certainly towards the very end of life as our body becomes less vital there is a greater chance of illness setting in, but I’ve drastically increased the chance of living a long, healthy life with these healthy habits. And most important, what I’m really trying to get at, is that if I do get a disease, I’ll know it’s not the disease’s fault. If cancer gets a chance to take hold and develop into a tumor, I know that cutting it out or using radiation or chemicals won’t do a darn thing to address the reason it was there in the first place. All it will do is make me sicker. If my arteries get clogged up, I know blowing up balloons inside them won’t stop them from getting clogged elsewhere. That’s why I talk about landscape health management versus disease management so often. It’s just so cool to learn about how creating healthy soil and plants gets rid of diseases and pests by focusing on the real causes. It’s even more fun when you work at it for a few years and make it happen. Sometimes I feel that as a species, we’ve forgotten the similarities between plant and human health. On the other hand, I also feel we actually know more than we ever did since we’ve learned so much about these subjects in the last century. The point of all this is that if you want to be healthy, it’s a good idea to lead a healthy lifestyle. If you want to have a healthy organic garden, free of plant pests and diseases, and overflowing with nutrient-dense food, it’s a good idea to create healthy soil and healthy plants. What I’m trying to get across is that we need to understand the cause of the disease, which is some kind of imbalance in our body or our plants, in order to supply the right solution. 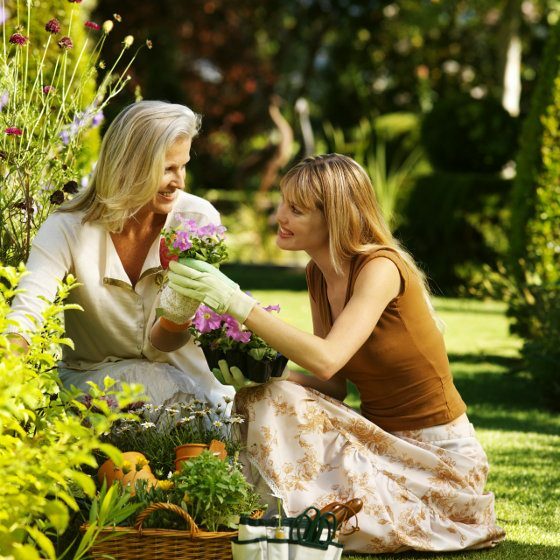 Most of the time, the solution does not involve dousing our bodies or our gardens with toxic chemicals. Human disease isn’t there because your body has a lack of radiation, and plant diseases and pests aren’t there because your garden has a lack of pesticides. We need to focus on creating health. I see now this is too big of a topic to tackle in a blog post, but I’ve written it now, so there you go. Any thoughts? Let me know below. Phil, You are SPOT ON in saying that our physical condition/health creates a climate in our bodies for disease or for wellness. It’s not about making others “feel guilty” when they become sick, but about empowering each of us to realize that we have control over our health (via our lifestyle) and we are not absolute victims. So much of our health lies within our choices. Discerning people will also realize that, even with an optimal health/lifestyle, there may still be occasions when we become ill. You may also be interested in reading information from Dr. Lorraine Day, an orthopedic surgeon who overcame advanced cancer through a radical change/improvement to her lifestyle.Thank you for your thought-provoking messages! Absolutely! I’m so glad to have found your blog. I have been learning about not only that beneficial microbes are essential to the health of our soil and plants, but also to human health (and the health of the whole planet). We must have a balance tipped in favor of the ‘good guys’ for health to prevail over disease! Just like chemical pesticides and fertilizers can strip the soil of health and life; antibiotics and radiation treatments, etc. also kill off the beneficial flora in our bodies tipping the balance in favor of disease causing microbes! Thank you for putting this together here. “Cancer developing into a tumor”. My first (instant) reaction was: it should be “tumor turning cancerous”; cancer-turning-into-tumor implies that physiological processes are in place long before the cancerous tumor develops, and that makes sense.A while back, the world paid attention to a scientist who said that the “bug” was the problem (Pasteur). In these last days we’re seeing that a compromised immune system is the problem; not the bug.Being well-nourished leads to a well-functioning immune system, and to be well-nourished we must have healthy soil.And, what can we do that will help us obtain this necessary healthy soil??…. Enroll in the Smiling Gardener Academy when it opens (smile).Excellent and valuable article. Another great article Phil. I have always thought that the Soil of Mother Earth is akin to the Blood of Homo Sapiens. Now we are learning that the soil is teaming with an orchestra of microbes and living organisms that are necessary for it’s vibrancy.Our bloodstream flows to all the cells in our body delivering many necessary bacteria and organisms, many of which are just being discovered.If we damage either of these systems, it results in dis-ease. We have followed the model of trying to control the natural world for too long, Maybe now it is time to observe, learn from and work in harmony with the higher intelligence of nature. Thanks everyone for your comments and interesting insights. This was a difficult one to write, trying to give a good overview without going too long. I don’t understand why we don’t have a more open dialog about sickness. While I agree with all that you’ve said, you sound apologetic about even broaching the subject. Perhaps you’re afraid of incurring internet wrath. Don’t blame you. Eating animals and any animal byproducts tends to be the common thread in disease. More and more science is coming out about a plant-based lifestyle and how it’s virtually devoid of disease. This certainly makes one want to have the healthiest and most abundant garden one can have. Thanks Betty, I suppose it’s partly about internet wrath, but mostly I’ve learned that if I want to help people, I have to not offend them too much because they may become defensive and close right down. So I try to be very gentle and inclusive on topics like this in order to keep the atmosphere friendly and comfortable. Wow. Give us more! 🙂 Offend me, Offend me! Sometimes people have to learn the hard way especially when it is for their own good. Keep doing what you do Phil. I will do my best to spread the good word. Hi Danielle, I don’t know of many specific lawn care sites. The thing about lawns is that they can be done organically, but if you want to get rid of weeds, that can take at least a few years and some knowledge on soils and plants and such. Of course it’s crazy that people are willing to spray these toxins in order to get rid of weeds, but that’s the paradigm we’re living in.This site ( http://www.safelawns.org/blog/ ) will give you a bunch of tips, but ultimately there’s nothing you can do to get rid of all the weeds in 1 season. This is sort of unrelated, but do you know anything about “downy-mildew” on basil plants? (apparently it’s a fungus-LIKE organism). I just discovered today that my entire basil plant’s leaves are riddled with it! Is it still possible to save it?